At LWS, you may choose any one of the many quality topics listed on our home page and their links to more detailed information. There are various ways that you can participate and each one has the capability of being tailored fit to your needs. Our workshops are time limited and curriculum driven, therefore you can request to join a workshop and you will be notified when the next workshop will be available. The mini workshops are a great way to get a taste of the full workshop. The mini workshops are very cost effective at $75 per hour. The full workshops require full registration and you will have to complete a request form to learn the cost of the workshop that interests you. One- on- One individual coaching is the best and most effective way to make substantive changes in your performance and skill sets. You will learn quickly and be coached to reach your personal and professional goals. The one-on-one coaching model is driven by your personal needs for those who are seeking a private and confidential means to achieve personal goals. Telephone coaching is available to those who reside outside of our geographic area or must travel frequently on business. It is a cost effective way to achieve personal and professional goals for those who have limited time. In the corporate setting, we have Lunch and Learn, corporate consulting and corporate trainings. Lunch and learns are like a mini-workshop. Corporate consulting is similar to the customized approach of one-on-one coaching. The consultation is done to tailor fit to your organization�s or department�s needs. 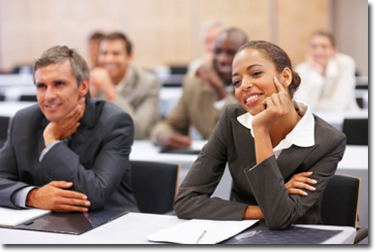 Corporate trainings provide the full workshop event on any topic listed on our home page. The workshop is 2.5 hours long. You will acquire one or more skills to improve performance in the subject area. You will learn the core skills necessary for excellence and the content of the full workshops. LWS workshops are between 4-12 weeks long with 1-2 hours for each meeting. The workshops are group based so that the participant interacts and practices skills that are taught in the workshop. It is great way to learn and network with colleagues and like-minded individuals. A coach with expertise in the subject area of your choice is assigned to you. Your coaching will be individually designed to meet your needs and you will be given an assessment of strengths and weaknesses. One-on-One is a great way to experience a customized approach to achieve your individual goals. One-on-One coaching for the busy individual. You will benefit from having your coaching designed for your specific needs. Telephonic coaching is great for those who are out of the area or have a busy travel schedule. Coaches are available to businesses and other institutions and organizations who want to expose their employees to techniques that are easily learned in 1-2 hours. Lunch and Learn is informational but always with the emphasis on acquiring skills. LWS has a team of organizational and behavioral experts to assess and design programs to meet your company�s needs. The service is great for any organization experiencing difficulties with meeting goals or about to experience a major change. LWS will provide in house trainings on a variety of topic areas. Contact our assessment team to design and deliver a training experience to meet your needs. To obtain additional information or to register for services please click here for a free confidential consultation.